10th General Meeting this Tuesday! 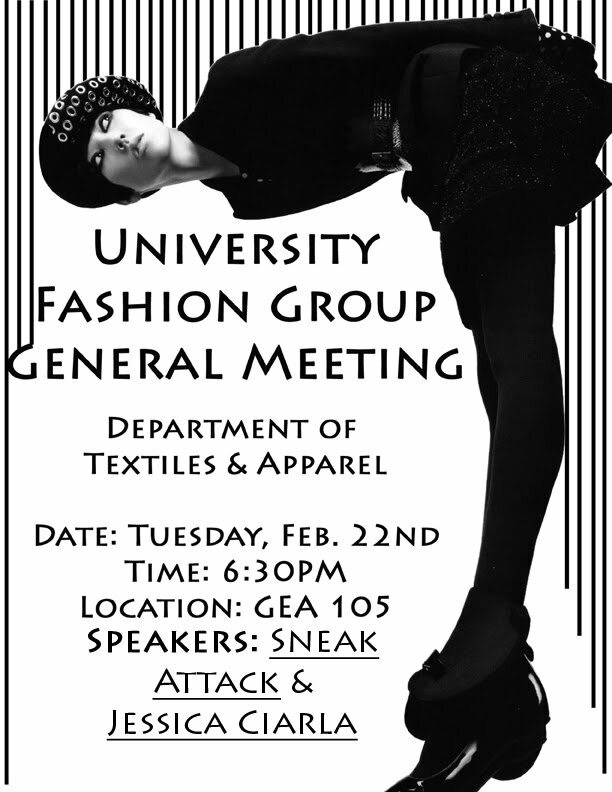 Calling all Fashionistas on campus! 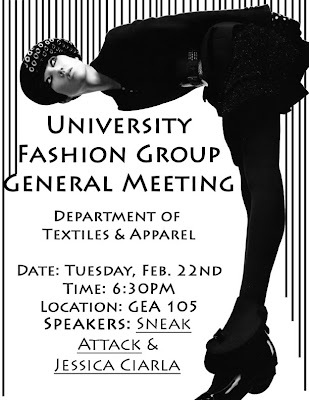 University Fashion Group is an organization devoted to students who love fashion and may also plan on stepping their feet into the fashion industry. UFG allows students to get involved in the fashion industry around Austin, and all over the country. We have set up members with jobs and internships all around Austin. Our members also get to work backstage at fashion shows during New York and LA Fashion Week! Our tenth meeting will feature Jessica Ciarla, designer of CIARLAbride, and the owners of Sneak Attack. Come learn about the fancy world of bridal wear and the colorful world of urban wear! We will be holding more committee meetings as the senior show approaches, so come get involved! All majors are welcomed and refreshments will be provided!